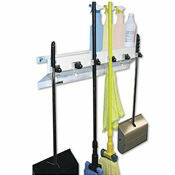 All the things cluttering up your house always seem to find their way to the garage until your vehicle no longer fits. With a couple shelves and a few cabinets, you can get all that stuff organized and you just might make enough room for all your vehicles. 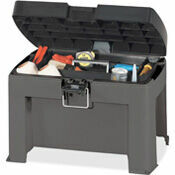 Designate a locking cabinet to store pesticides, paints and auto fluids in their original containers and out of reach of children. 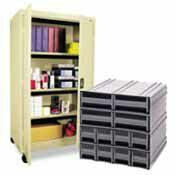 Look into mobile storage units with casters if you will need to move them out of the way from time to time. 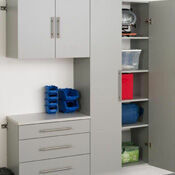 Mobile Storage with Four Adjustable Shelves, Storage Cabinet with Recessed Handle, Hanging Storage Cabinet, Parts Storage Cabinet, Steel Storage Cabinet, Welded Storage Locker with 2 Adjustable Center Shelves, Expanded Metal Front Stationary Cabinet and Interlocking Storage Cabinet with 16 Drawers.